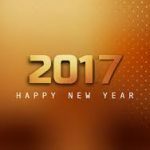 5 Valuable New Year’s Resolutions for Your Second Act | The Levin Law Firm - Philip Levin, Esq. In 2007, British psychologist Richard Wiseman followed more than 3,000 people attempting to achieve New Year’s resolutions including the top three: lose weight, quit smoking, and exercise regularly. At the start of the study, most were confident of success. A year later, only 12 percent had achieved their goals. 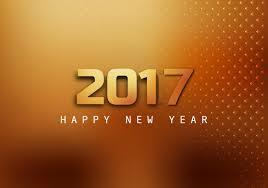 To make meaningful New Year’s resolutions that you will really keep, set long-range resolutions for yourself. This way, you can help reach the goals that matter to you in the context of your entire future, not just a single year. To make holistic New Year’s resolutions, look to the wisdom of Peter Drucker, the father of modern management who died in 2005 at 95. Drucker’s iconic 39 books and countless articles were always forward-focused. Do not assume that tomorrow will be like today. It could be, but the future is unknown. And while uncertainty can be unsettling, remember this: we’re all in the same boat. We may not like change, but it’s natural, necessary, and something to celebrate. Drucker distinguished between being a change agent (good) and a change leader (better). “The most effective way to manage change successfully is to create it,” he said. To do that, you need to see change as an opportunity, not a threat. Every year, Drucker carved out time to engage in deep, focused introspection. He’d reflect on how the past year had gone compared with his expectations and the adjustments he needed to make going forward. Your second act will unfold in part due to what you stop doing. Drucker recommended something called systematic abandonment —intentionally dropping activities and relationships that are no longer productive or useful. He suggested combining this with kaizen: steady and incremental improvement of what remains. A good starting point for this resolution is to make a list of what and who you can live without and then gradually shed them from your life. Then, use your newfound time to help create a winning second act. Drucker believed that it was risky to sit back and let the future happen to you. Accept the idea that almost everything carries some element of risk, and you can create a space for risk in your life. If establishing or updating your estate plan is one of your New Year’s Resolution goals for 2017, please contact The Levin Law Firm at (610) 977-2443 to arrange a consultation with trust and estate planning attorney Philip Levin, Esq.